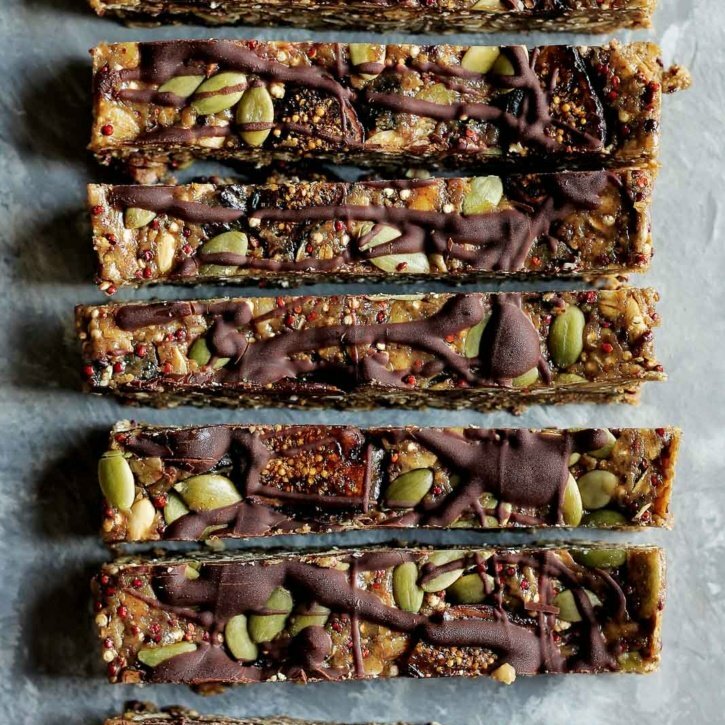 Have you ever created the most simple combination, but because it was life-changing delicious, you just had to share it with everyone you knew? I’m talking about one of those recipes that you could eat every single day forever and ever. 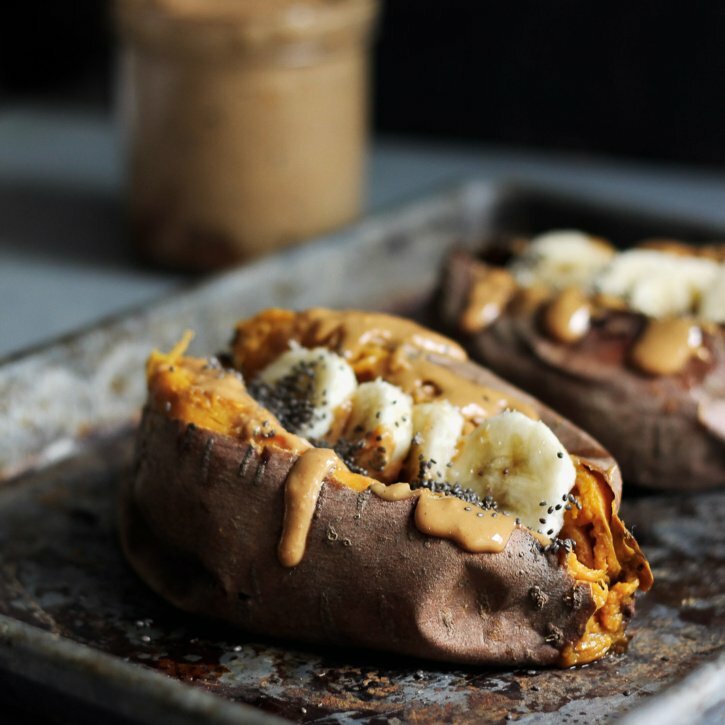 That’s exactly how I feel about these warm breakfast baked sweet potatoes stuffed with a spoonful of sweet almond butter, ripe bananas & crunchy little chia seeds. I adore these more than I ever thought I would. The creamy almond butter melts into the flesh of the sweet potato and creates the most perfect texture in your mouth, somewhat reminiscent of a custard-like sweet potato pie. 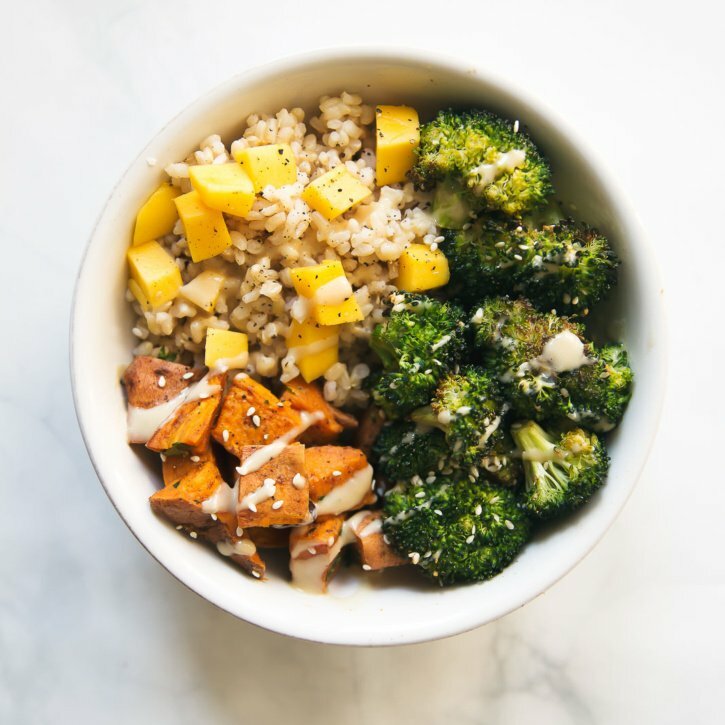 Imagine enjoying this for lunch: a big healthy buddha bowl with a slightly sweet mango coconut brown rice, sesame roasted sweet potatoes & broccoli, and topped off with an orange sesame almond butter dressing. Yeahhhhh, you’re so down. So, we’re in the middle of packing up all of our dishes and just realized I have nothing left to eat off of. As in I literally scarfed down yesterday’s lunch with my hands. When you’re in the privacy of your own home, what does hot sauce all over your hands matter anyway? 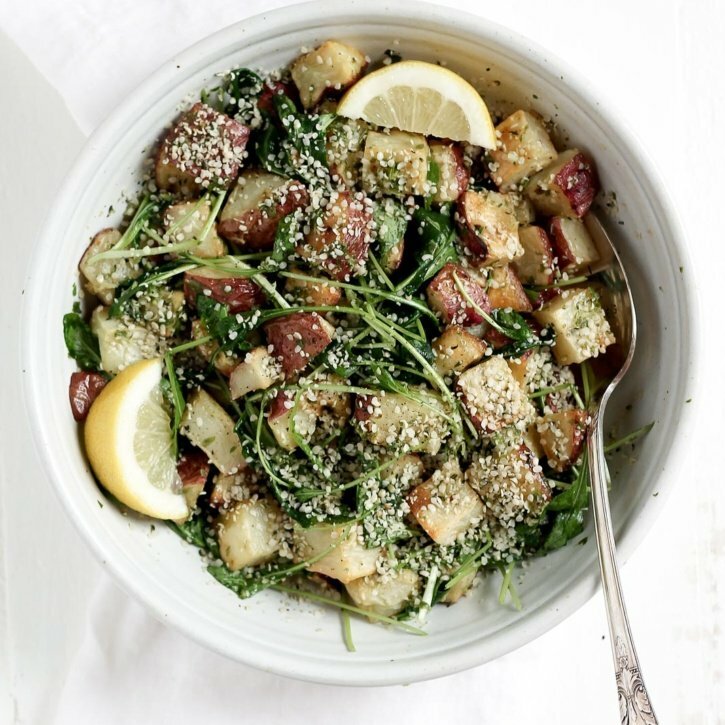 Now, if you want to be a little fancier then me and show off how delicious you can make your lunch, you should 100% try these beautiful buddha bowls that I’ve created in partnership with my grocery delivery service friends at Peapod. Welcome to day 2 of zucchini week! Yesterday I gave you a delish bread recipe & today we’re all about cookies that taste like banana bread. Whoo hoo! Since I couldn’t remember the last time I gave you a cookie recipe, I decided that today was the day to make it happen. 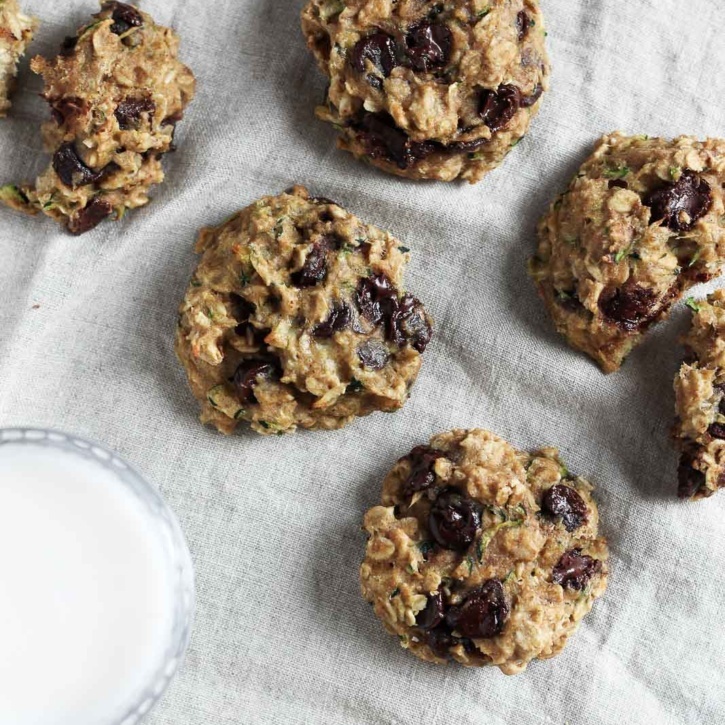 We’re starting off with these BIG healthy VEGAN zucchini oatmeal cookies studded with ooey-gooey chocolate chips, whole grains & banana. Welcome to Ambitious Kitchen’s annual ZUCCHINI WEEK! Yes, every single day this week I’m going to be posting a new zucchini recipe and frankly, I’m thrilled about it. I know you still have zucchini lurking in your garden, or perhaps it’s on sale at the store, either way you’ll need a ton of it! 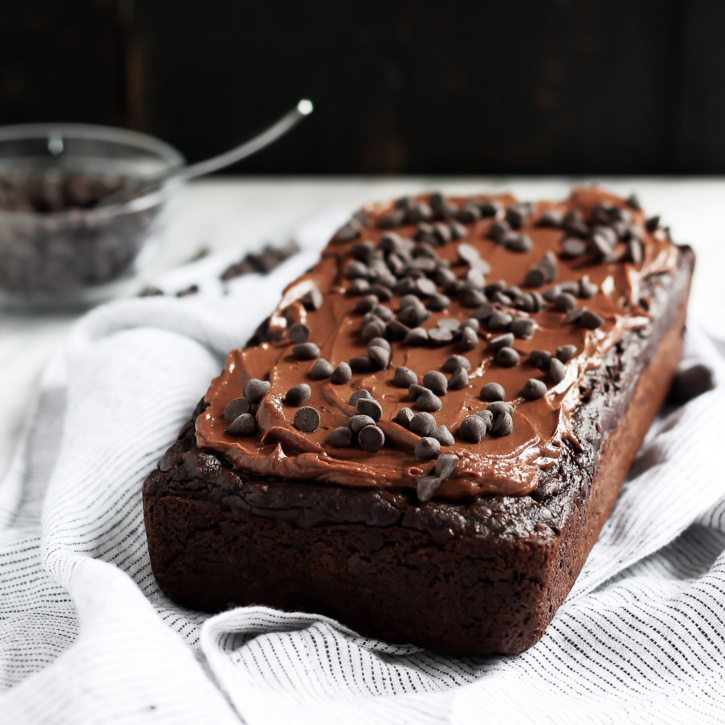 First up is this Double Chocolate Zucchini Bread that just so happens to be gluten free, vegan and nut free. No, you’re not dreaming. Just waking up to heaven. 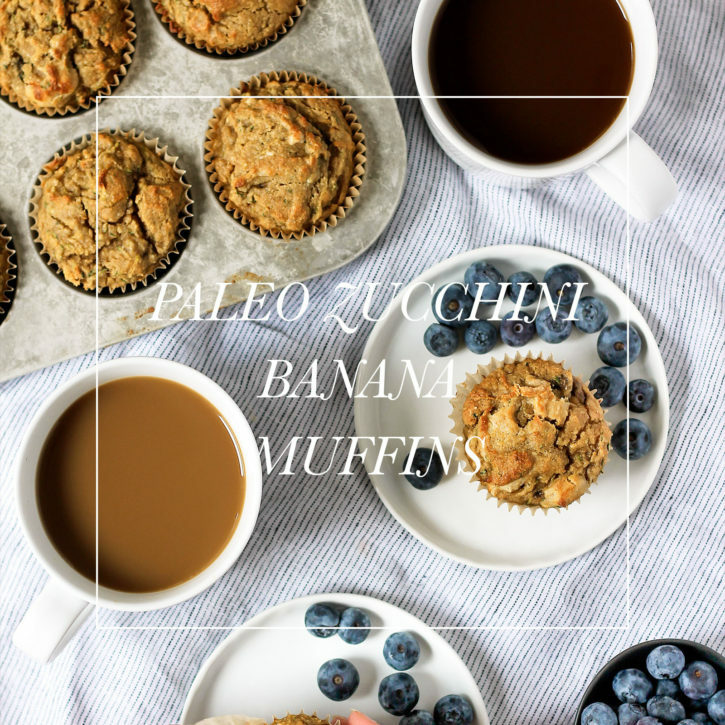 Even after 5 years of blogging, I’m still finding new ways to put zucchini in baked goods. Call me the zucchini wizard. With a chocolate lightning bolt on my forehead and a spatula as my wand. Oh hi Monday, you’re here again. Do you have your cup of joe? 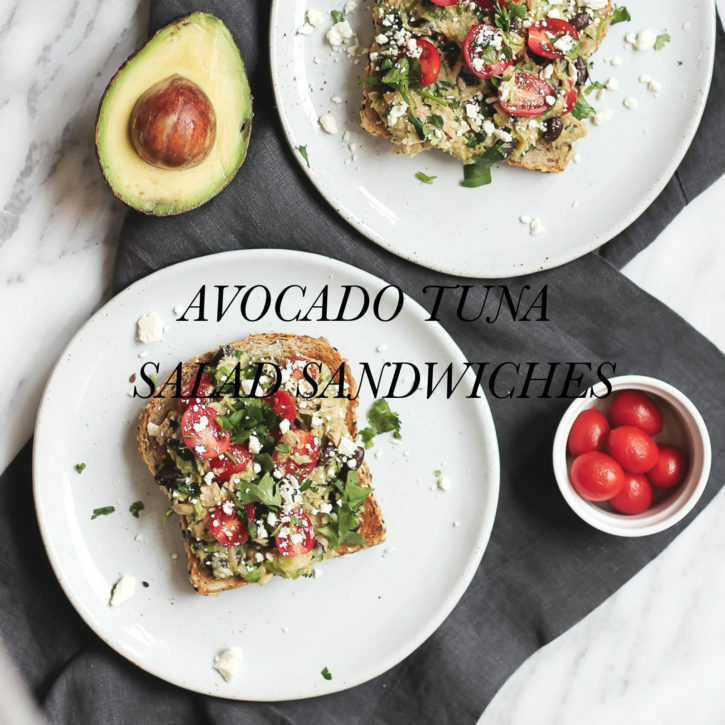 Maybe paired with a big bowl of steaming hot oatmeal with blueberries for breakfast? Me too. I got back from Nantucket last night and all I wanted to do was prepare a few healthy meals for the week. Personally I’ve found that the trick to maintaining a successful weight loss is to be prepared when it comes to food; always easier said than done though, right? How’s your fridge looking these days? Overflowing with bright berries & fresh seasonal produce? Mine is packed to the brim.I mean seriously guys, when you have an obsession with buying all the fruit on sale from Peapod, finding room in the fridge becomes a real problem. Flavors just seem to dance around in my head all day and the next thing I know, I’ve got more than just a few grocery bags to unload. So what’s a girl to do? Well, sometimes it’s just necessary to throw everything in a blender and enjoy a refreshing smoothie. 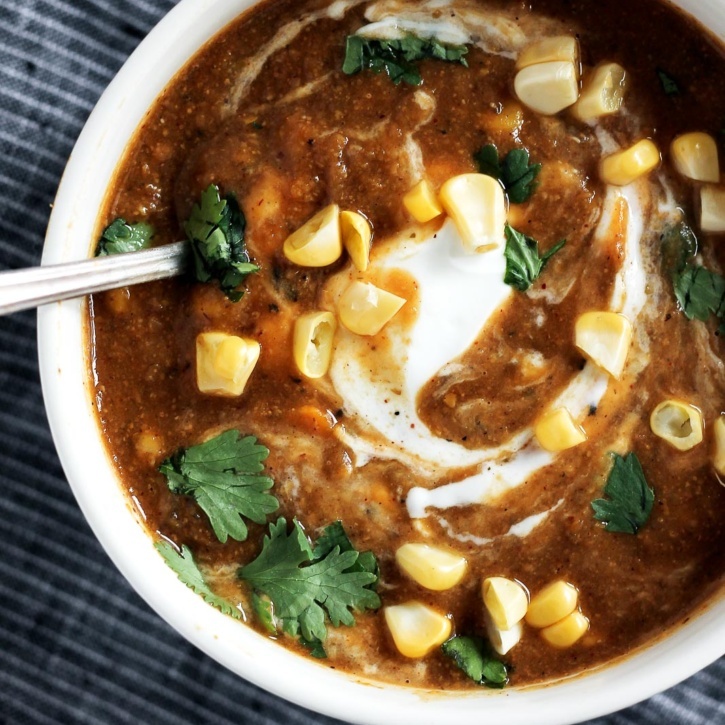 Often, the random ingredients create the most delicious flavors. 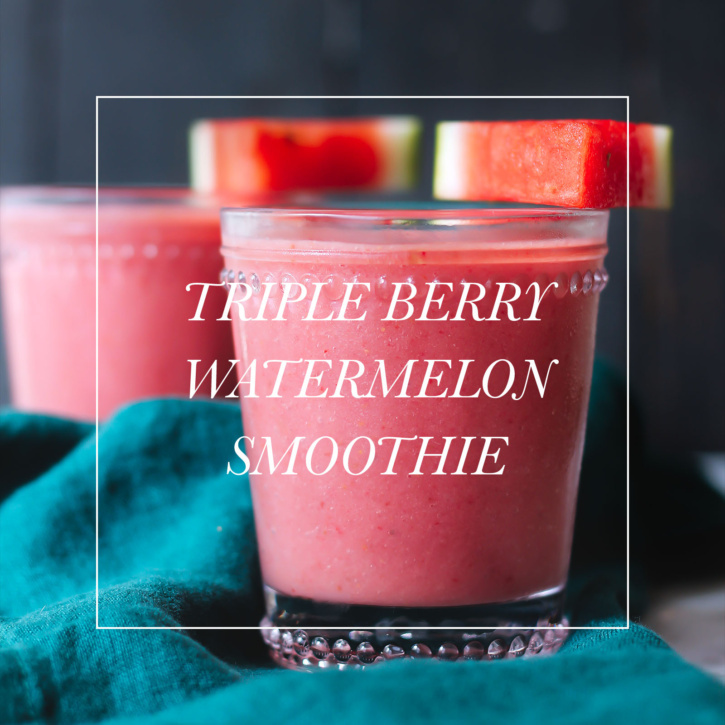 Case in point: this watermelon smoothie packed with cherries, berries & creamy almond milk.